Dr. Bonnie Cameron. We have welcomed Dr. Andrea Knight to our faculty, a native Torontonian who spent several successful years at The Children’s Hospital of Philadelphia. We are currently training 8 spirited core rheumatology fellows (6 are Canadian!) and 2 subspecialty fellows in SLE and vasculitis. Ottawa is humming! Over the past year, six new rheumatologists have sprung into action in the national capital region. Drs. Noura Alosaimi, Hafsah Al-Azem, Catherine Ivory, Krista Rostom, and Nancy Maltez are all recent graduates of our training program. Dr. Ivory has taken a full-time faculty appointment in the division. Dr. Maltez is completing a year of fellowship training in scleroderma/myositis, while taking on some clinical responsibilities. Noura, Hafsah, and Krista are all practicing and involved in teaching and on-call responsibilities. Dr. Ashley Sterrett has joined us in Ottawa after practicing in the USA for some years. She has a busy clinical practice and is actively involved in teaching and on-call duties. Gunnar (Kraag) and Doug (Smith) have very recently retired after many years of very distinguished service. This is big. These guys are missed. Most importantly, on May 24, 2018, Drs. Ines Midzic and Nataliya Milman each delivered beautiful baby boys one hour apart in the same hospital. We are a close-knit group! 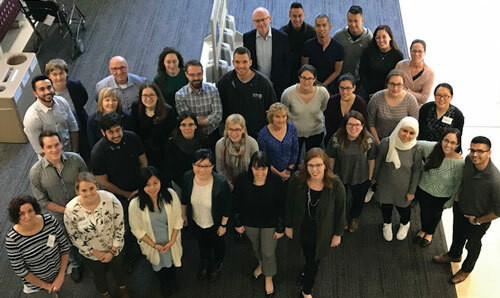 The 8th annual Canadian Rheumatology Ultrasound Society Basic Musculoskeletal Ultrasound Course was held in Toronto in October 2018. 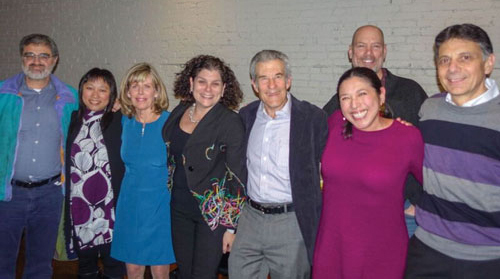 It was a fun weekend of learning with rheumatologists from across the country, and even joined by some physiatrists, orthopedic surgeons and internal medicine trainees. Dr. Dana Jerome (far left), the University of Toronto Rheumatology Program Director, with a new rheumatology fellow Dr. Bahar Moghaddam to her left, and two recent graduates of the rheumatology program, Dr. Vanessa Ocampo and Dr. Alexandra Saltman. They were at the ACR meeting in Chicago. 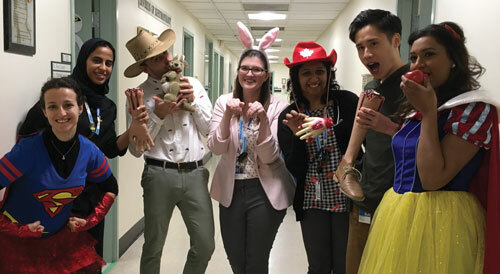 An update from Pediatric Rheumatology at the Children's Hospital, London Health Science Centre: Dr. Erkan Demirkaya joined the Division of Pediatric Rheumatology at the Children's Hospital and Western University as a Professor of Pediatrics in 2017. Dr. Demirkaya’s main research interests are in the autoinflammatory diseases, vasculitis and outcomes in rheumatic diseases in children. Dr. Demirkaya’s aim is to develop a comprehensive multidisciplinary translational research program in Behçet’s and Autoinflammatory disease at Western University. Dr. Berard has successfully piloted an Advanced Clinician Practitioner in Arthritis Care (ACPAC)-led pediatric rheumatology outreach clinic with the use of the Ontario Telehealth Network in Windsor, Ontario. Sue MacQueen, ACPAC physiotherapist (PT) travelled to Windsor from Kitchener to run these clinics. Many thanks to Sue and to the funders for this project – the Ontario Rheumatology Association, the Arthritis Society and Sick Kids.